MALLORY 160683J400F type 160 series metallized polyester box capacitor. 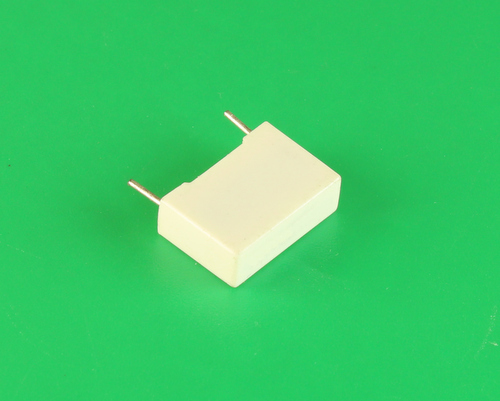 Capacitance 0.068 uF, Voltage 400 Vdc. Operating temperature range -55 C to +105 C, tolerance 5%. Great for applications such as bypass, decoupling, energy storage / discharge and arc suppression. 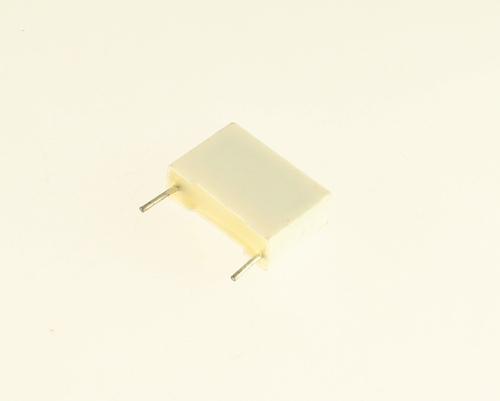 160683J400F box capacitor highlights: Rugged plastic case, case and epoxy fill meets UL94V0, non-inductively wound, non-polar, wire lead material, tinned copper clad steel. Made in USA. Minimum Order Quantity is 27. Why?